Little Voice has designed a number of golf club websites now, and the challenges they face are quite unique. 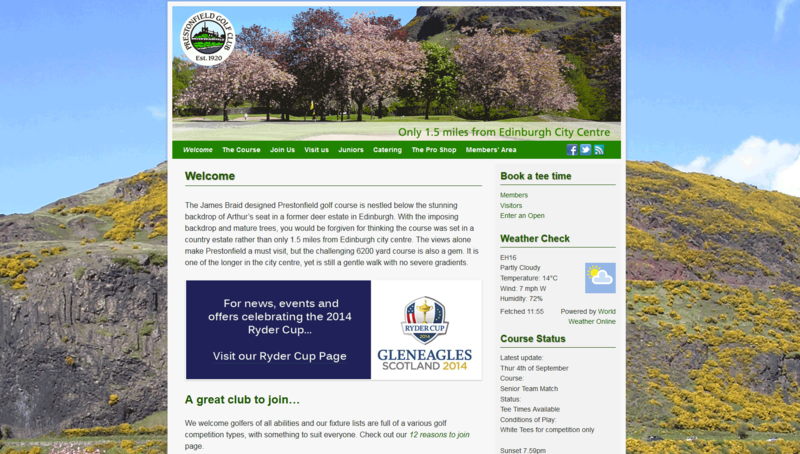 and, in the case of Prestonfield Golf Club in Edinburgh, they were also keen to attract sponsors and advertisers. 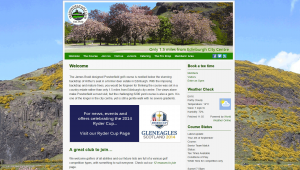 The solution for Prestonfield was to produce a site full of information that potential members and visitors would find useful, combined with the facility to provide fresh, up to date content for their membership. Moreover, it was vital that the up to date content was actually pushed to the membership, rather than having them always have to make the effort to come and find it on the website. 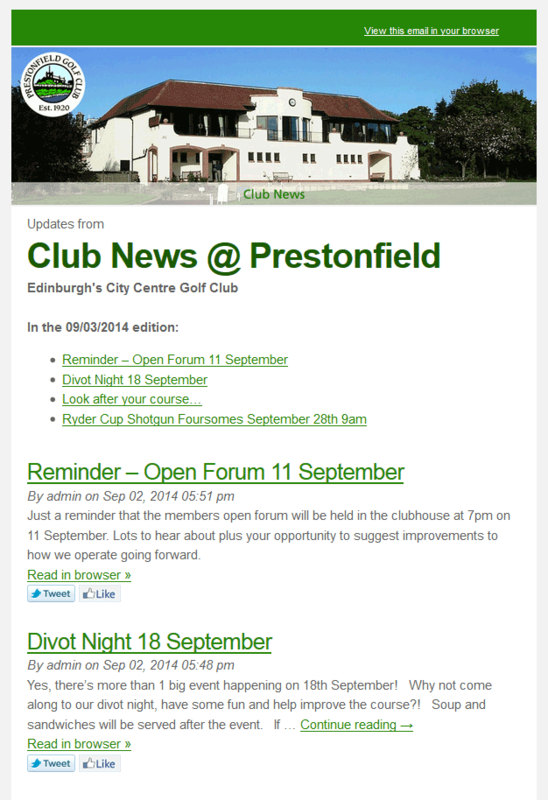 Several committee members and staff at Prestonfield have access to the website to post news. As soon as they add news to the website, it is immediately also published on Facebook and twitter. Additionally, on a weekly basis, this news is automatically gathered and emailed to the membership based on their pre-defined preferences and without the need for any further intervention on anyone’s part. Members can chose to receive weekly summaries of ladies news or gents’ news and a general summary of club news also goes out once a week. In the future, junior news and course news weekly summaries may also be produced in this automated fashion. The club can receive statistics on how many people open these weekly emails and any links that they clicked within the newsletter. This lets them see which particular news items are popular and how engaged their membership audience is. All in all, the website, news and social media features are extremely useful tools for a club that sees membership engagement as a top priority. Additionally space is available for advertisers who may wish to reach an audience of over 9000 visitors a month in peak season and the club has just started to seek some income generation via website adverts. Finally the club is starting to see some success from marketing special deals to visitors by utilising the website, social media and their intelligence-led email messaging facility. 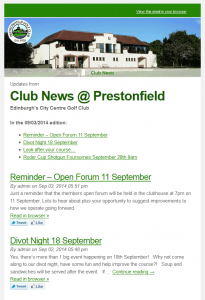 Check out the Prestonfiled Golf Club website here. Would these tools work well for your golf club? 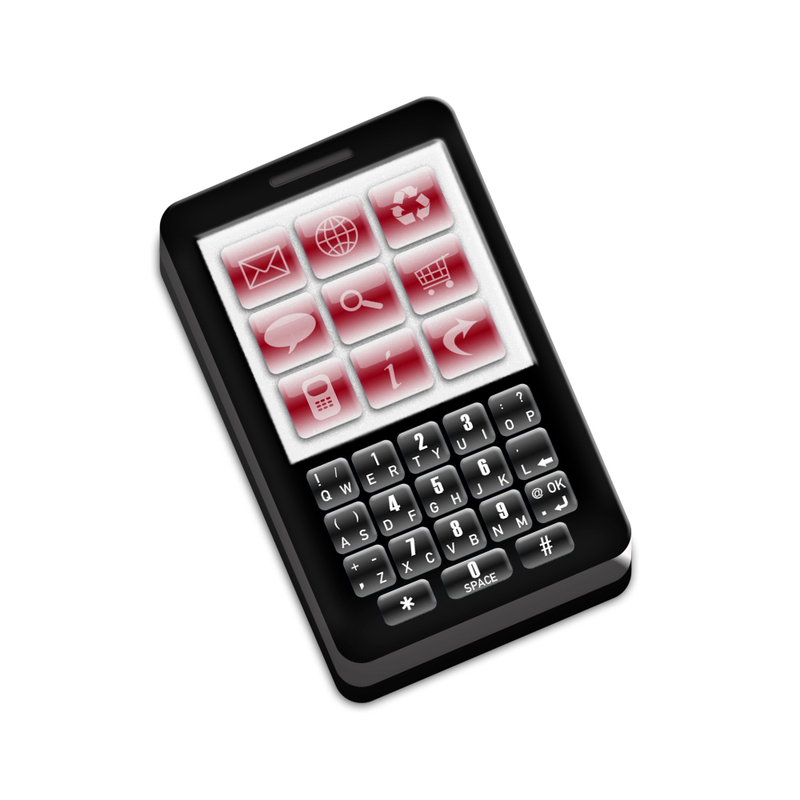 Why not contact us to find out more.